Chandigarh 19th April:- Prof. Jagat Ram once again made PGIMER, Chandigarh and India proud by winning the prestigious "Best Video" Award at the American Society of Cataract and Refractive Surgery Conference held at Washington D.C, USA from April, 13th -17th 2018 for the management of Cataract in a new born baby with Congenital Glaucoma also known as "Kala Motia". Congenital Glaucoma is one of the leading causes of childhood blindness and the techniques of management of cataract in these complicated cases are very scarcely reported. It was one of the most challenging and unique cases performed by the team of Advanced Eye Centre where a giant lens was especially designed and customized with the help of BIOTEC Company according to the size of the eye. This is the third time when Prof. Jagat Ram won the award at the American Society of Cataract and Refractive Surgery meeting which gets representation from over 90 countries and the film festival is like the Oscar's of Eye surgery. Earlier in 2013, he was awarded the Best of the Best award and for the management of Double crystalline lens at the ASCRS Conference at San Francisco, USA and then again in 2016 he won the Best of the Best Award in New Orleans, USA for a new surgical technique for Persistent hyperplastic primary vitreous. 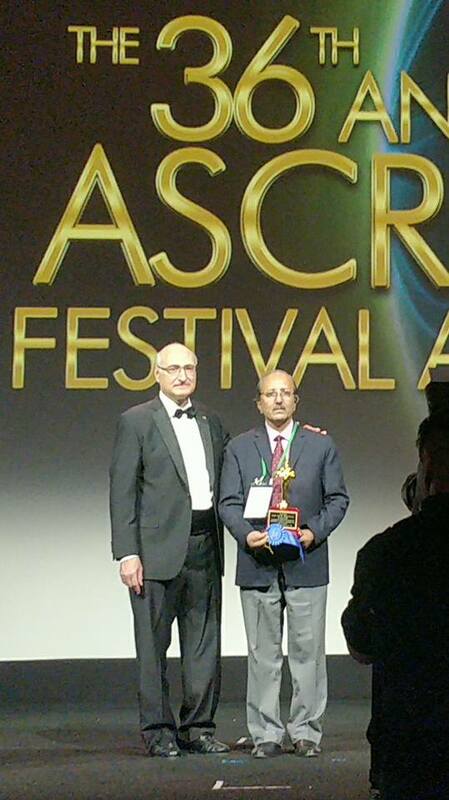 Prof. Jagat Ram has attended the 3rd meeting and made the hattrick by winning this prestigious award at the ASCRS, 2018. This surgical technique documented for the first time in the world by Prof Jagat Ram will help millions of small children in near future who are in danger of losing their sight due to congenital glaucoma and related diseases.